Pennsauken, NJ, August 7, 2018… NewTek Sensor Solutions introduces the NT-C-6000 Quik-Cal™ LVDT Signal Conditioner that offers an intuitive AC LVDT set-up for quick configuration by non-technical personnel. Workers can set zero and full scale output using front panel push buttons while LED indicators provide prompts for the calibration process. Color-coded plug-in screw terminals further simplify equipment set-up. These smart signal conditioners even self-diagnose and indicate LVDT failure while providing cybersecurity lockout and tamper detection. Addressing the needs of today’s process control systems, the DIN-Rail mountable unit is ideal for use in a variety of industrial applications including factory automation, materials testing, turbine control systems, steam valve positioning, packaging equipment and gaging. Units are RoHS compliant and CE-certified for use in Europe. Performing with low floor noise, the LVDT Signal Conditioners provide high resolution measurement. NewTek offers the NT-C-6000 Signal Conditioner with a two-year warranty. The company accepts small- to large-sized orders and guarantees on-time delivery of units. 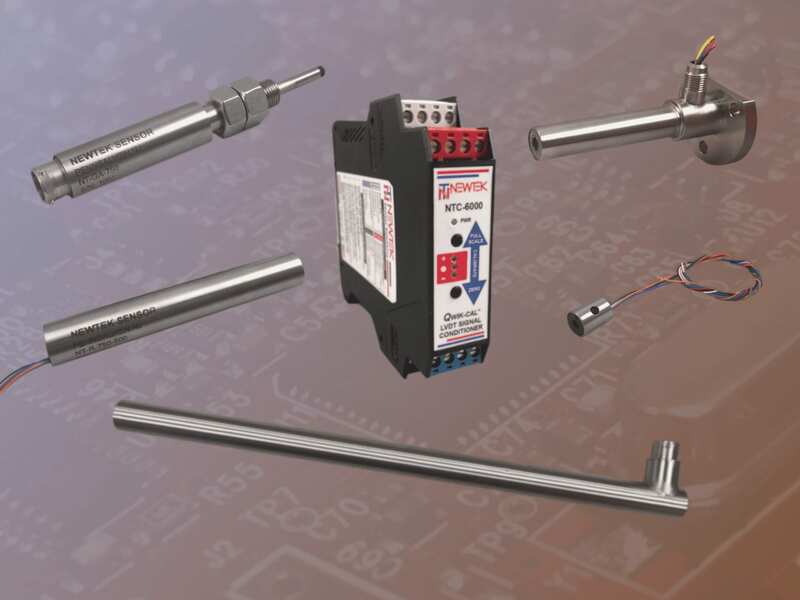 For more information, refer to the website at https://www.newteksensors.com/products/ntc-6000/ or contact Mike Marciante at 856-406-6877.